Regular users told us the most very important thing of swimming would be to control your breathing. To get this, our head should really be aligned with our spine all of the time. Swimia.com desires your feedback to ensure all the information is valid, considering that perhaps this pool is no longer open towards the public. For Torrico and its vicinity, we're showing you each of the registered Outdoor Pools in Torrico, some of them have no GPS coordinates and you're not finding them at the map. Not all countries are the exact same, and swimming regulations and rules are changing from one country to another. Most from the Pools offer you both open lanes for independent swimming and also guided activities like water aerobics or aquabike. 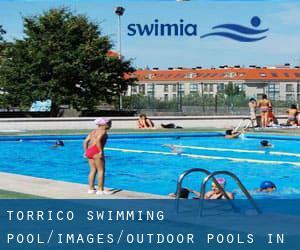 Swimia.com has essentially the most up-to-date database about Outdoor Pools in Torrico. Paseo Padre Juan de Mariana s/n , Talavera de la Reina , Spain (Postal Code: 45600). Swimmers like you reported 25 meters, 6 lanes, Indoor/Outdoor. Phone number and e-mail address are number for this Pool. Avd. Juan Carlos I , Talavera de la Reina , Spain (Postal Code: 45600). This sports center offers 25 meters x 17.3 meters, 8 lanes, Indoor/Outdoor. For this Swimming Pool, only phone number is number here.